Her rival, state Speaker Andy Tobin, was a top recruit for national Republicans. The party went all in for him, spending millions against Kirkpatrick on television. But, "people know me," she said in a phone interview last week. "They&apos;re common-sense people, and I think they saw through the partisan games." The Big First On paper, Republicans should be able to pick up Arizona&apos;s 1st District: Mitt Romney and Sen. John McCain carried the sprawling district in their presidential bids. 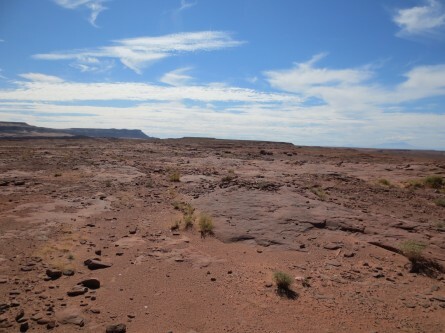 But the district is also massive — about the size of Iowa — and includes mostly remote desert, including the Grand Canyon. The rural terrain means television campaigns are not as potent as they can be in other areas. The parties spend big money on media anyway because the district includes two pricey markets during elections, Phoenix and Tucson. To win this district, a candidate must raise money to support an ad campaign and, at the same time, hit the road for retail politicking to conservative ranchers, Native Americans and more liberal-minded voters in the Flagstaff area. Some Arizonans describe running for Congress in the 1st District like running for mayor of hundreds of small towns — but with the organizational challenge of a congressional campaign. Kirkpatrick knows this well. First elected in 2008, she lost in 2010 to Republican Paul Gosar. After redistricting in 2012, Gosar opted to run in another district, one that&apos;s safer for Republicans. The district improved for Democrats under the new lines, but it still slightly favors Republicans. In 2012, Kirkpatrick ran a fierce comeback bid for the open seat and surprised Republicans with a win. By this cycle, national Democrats were nervous about her voting record. Two fellow Arizona Democrats, Reps. Kyrsten Sinema and Ron Barber, bent over backwards to portray themselves as Blue Dogs. But Kirkpatrick often voted the party line and notably didn&apos;t back down on her support for the 2010 health care law. Aides say Kirkpatrick tried the cautious route in 2010 and lost anyway. This time, she decided to do it her way. "I always put my district first, and those votes reflected my district," she said. Always a Top Target National Republican Congressional Committee Chairman Greg Walden has photos of his top seven targets hanging in his office. Each time a Democrat lost or retired, the NRCC drew an X over it. Today, Kirkpatrick&apos;s is one of a few remaining photos on his wall. Republicans didn&apos;t lose this race because of lack of investment. In the fall of 2013, Republicans telegraphed pride for their recruit, Tobin. There were two other GOP candidates aiming for the seat, self-funding businessman Gary Kiehne and state Rep. Adam Kwasman, who aligned himself with the tea party. While they campaigned, Tobin spent the first months of 2014 focused on his job as state speaker. 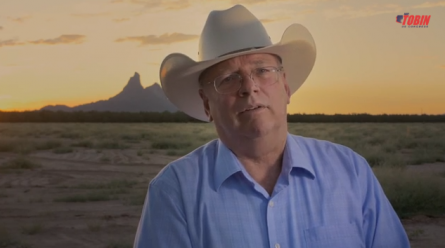 “It was a fulfillment of my obligation to my constituents who elected me ... and to be there for rural Arizona," he said in a Monday phone interview. Kirkpatrick raised far more money than him in those early months, which isn&apos;t unusual for an incumbent. But Tobin had a high burn rate. According to a Roll Call analysis, he spent at least twice the rate of Kirkpatrick on salaries and consultant fees. Kwasman and Kiehne put up a ferocious nomination fight, while also making incendiary gaffes that turned the primary into a national sideshow . In danger of not making it through the primary, national Republicans directed Bill Cortese, a former staffer to Rep. Michael G. Grimm, to take over the flailing effort in June. Most Republicans and Democrats say Cortese corrected the course for Tobin&apos;s campaign, along with help from the U.S. Chamber of Commerce. Tobin narrowly prevailed in the primary, but the wounds were mortal. Worse than the ideological complications, the Aug. 26 primary gave Tobin no time to prepare for the general election. The primary was prolonged a week thanks to Arizona&apos;s notoriously slow ballot-counting. Tobin was not only broke by Labor Day, he also spent the first week of his general election in a holding pattern until Kiehne conceded. Kirkpatrick spent that same stretch fortifying her campaign coffers and her image. Throughout the two-year term, she could be spied at the Democratic Congressional Campaign Committee, putting in her fundraising call-time. And each weekend Congress was in session, she made the eight-hour trek home. Her finance reports reveal a campaign that spent heavily in the winter on gasoline. By the general election, she raised $3 million. Tobin&apos;s fall campaign operation was comprised of his son and Cortese. His get-out-the-vote effort relied on the state GOP. National Republicans supported him, including the NRCC, the Koch-aligned Libre Initiative, YG Action Network, Americans for Prosperity, the U.S. Chamber of Commerce and American Action Network. Outside groups spent about $7.4 million in advertising, according to a Democrat tracking media buys. Over the fall, the the national climate deteriorated for Democrats on a daily basis. Increasingly, operatives cited Kirkpatrick as one of the most likely candidates to lose re-election. Boots on the Ground Democratic outside groups — primarily the DCCC and House Majority PAC — spent about $5.6 million to protect her and slam Tobin, according to a Democratic source tracking media buys. Also crucial: Kirkpatrick was able to fund her own advertising. She spent $1.6 million on her own ads, compared to Tobin&apos;s $450,000 investment, according to a Democrat tracking media buys. Her spots stood out with candidate voice-overs and direct-to-camera advertisements. Thanks to federal law, candidates get lower television rates than outside groups and this was key as television rates rocketed in the Phoenix and Tucson markets. But it was one Kirkpatrick ad in particular that caught on. The spot showed a pair of cowboy boots she bought as an 18-year-old waitress. The congresswoman stamped her boots in dirt as she named unpopular government policies that she disagreed with. "The boots are real," she said in a recent interview. 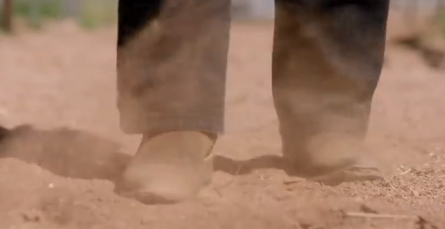 The cowboy boot image became the symbol of her campaign. Staffers posted images of boots as their social media avatars, the campaign built parade floats with boot themes and it flooded the Internet with photos of Kirkpatrick and supporters — often Native American voters — brandishing the footwear. Kirkpatrick wore the boots with an array of Native American-style clothing and jewelry. She nurtured her bases in Flagstaff and on the Navajo reservations. "I have deep roots in the district," she said. "I think my mother&apos;s family and my father&apos;s family go back almost a hundred years." 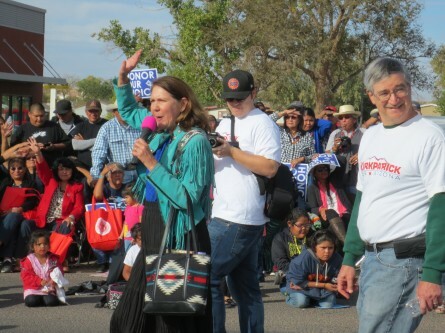 For Tobin, the Native American turnout proved consequential. "I think that it’s important for Republicans to increase their permanent commitment to work on Native American support," Tobin said. Sources on the ground said that even as Washington wrote her political obituary, it was obvious that Kirkpatrick was on the march to victory. Her biggest obstacle was the ballot: A Libertarian spoiled the race for Republicans in 2012, and this year she faced Tobin head-on. On Nov. 4, the Democrat whom Washington had declared politically dead expanded her margin from 3.6 points in 2012, to 5 points in 2014. National Republicans credit Kirkpatrick&apos;s improved political skills, arguing they must take a different approach against her next cycle. To nab Arizona&apos;s 1st District, they say they will need fewer negative ads and instead must invest creative resources toward undermining her brand. Back in Arizona, Republicans are already thinking ahead to new recruits for the seat. Tobin could run again. Kiehne and Kwasman&apos;s names surface, along with her 2012 rival, Republican Jonathan Paton. But the bench remains surprisingly thin. If Republicans can land a candidate who can run a capable campaign, won&apos;t that spell Kirkpatrick&apos;s downfall? "Look, look. There were two candidates in the race before the NRCC picked their candidate," Kirkpatrick said. "They got who they wanted." This is the fifth in a five-part series examining the campaigns behind the cycle’s most fascinating races. Earlier editions examined Rep. John Barrow’s defeat in Georgia’s 12th District, Rep.-elect Elise Stefanik’s victory in New York’s 21st District, David Perdue’s open-seat Senate win in Georgia and Thom Tillis&apos; victory in North Carolina. Related: The Stunningly Static White Evangelical Vote Martha McSally Declares Victory as Race Heads to Recount How Elise Stefanik Became the Youngest Woman Ever Elected to Congress The Best Congressional Campaigns of 2014 Roll Call Election Map: Race Ratings for Every Seat Get breaking news alerts and more from Roll Call in your inbox or on your iPhone.